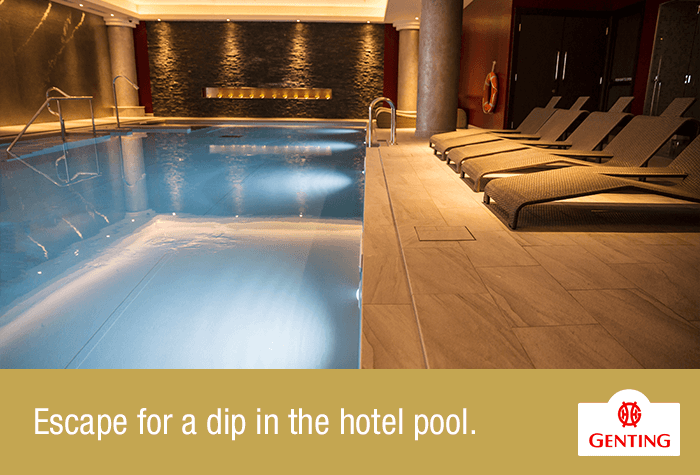 It will be hard to find a Birmingham airport hotel more impressive than the 4-star Genting. It is modern and stylish and will soon have you revelling in holiday spirit. 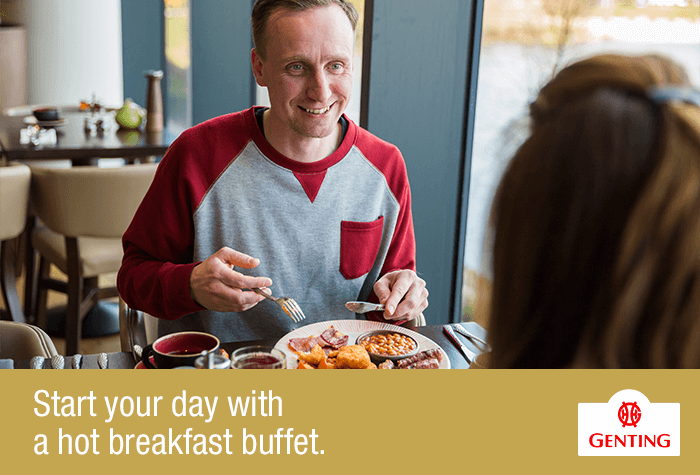 The hotel is only five minutes from Birmingham Airport and also conveniently located within the Resorts World Building, where you will find over 15 restaurants, shopping and a cinema. The hotel itself houses the Robata Bar and Grill, a contemporary restaurant serving up an Asian affair, cooked on open flames. 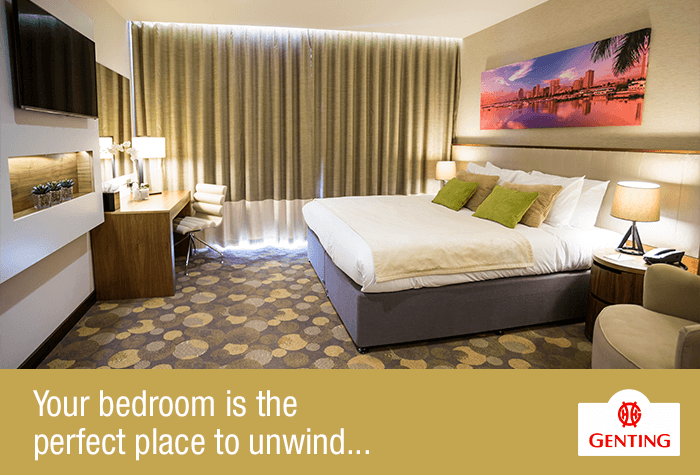 After dinner there are 3 bars to choose from, before unwinding in your spacious, beautifully decorated room. 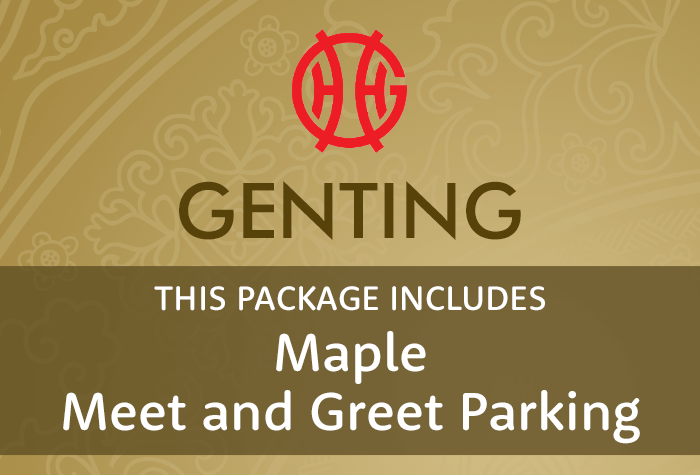 The Genting Hotel has been paired with Maple Manor Meet and Greet for an even more hassle-free start to your holiday. After you have devoured the delicious, complimentary breakfast at the hotel, drive 5 minutes to the airport terminal where a professional Maple Manor driver will meet you. The Genting hotel is set inside the Resorts World building. Its just 10 minutes drive from the airport. 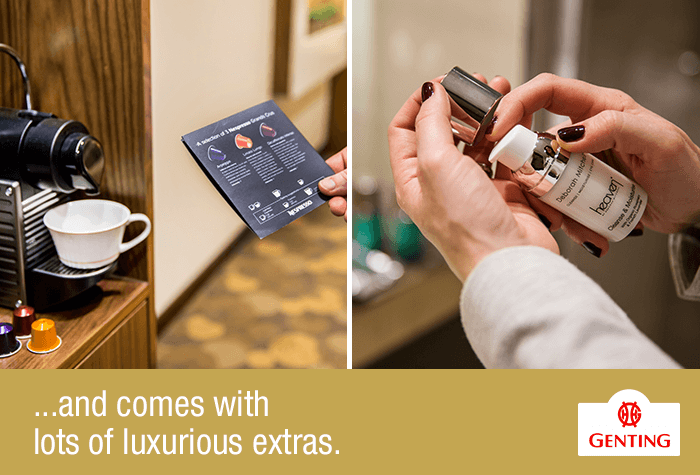 This package includes meet and greet parking with Maple Parking for the duration of your trip. Park in the hotel car park overnight, its £15. In the morning, drive to the airport and leave your car with your designated driver. Theyll park your car for you in a secured car park while you walk to the terminal. Guests tell us the rooms are bright, spacious and comfortable. 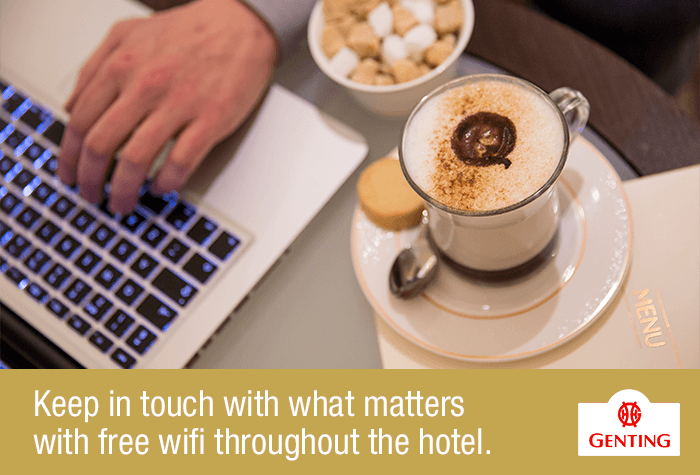 Wifi is free and fast enough for general browsing and checking social media. If you would like to request an accessible room, please call us before you book. 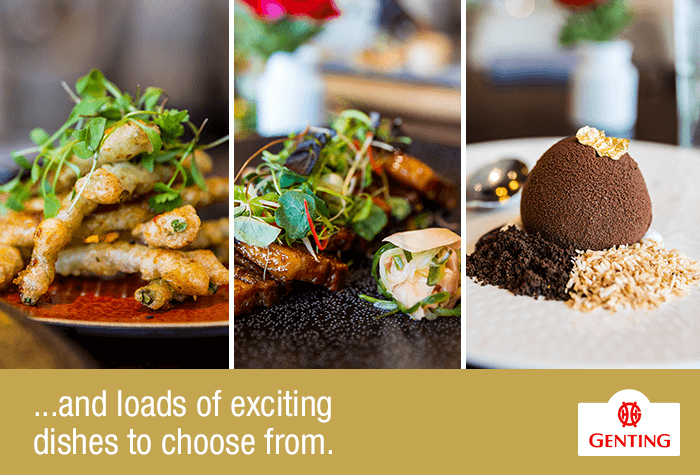 The Robata Bar and Grill offers a fusion of European, Australasian and Pan-Asian dishes cooked on open flames, with main meals averaging around £18pp. Open from 5pm - 10pm daily. 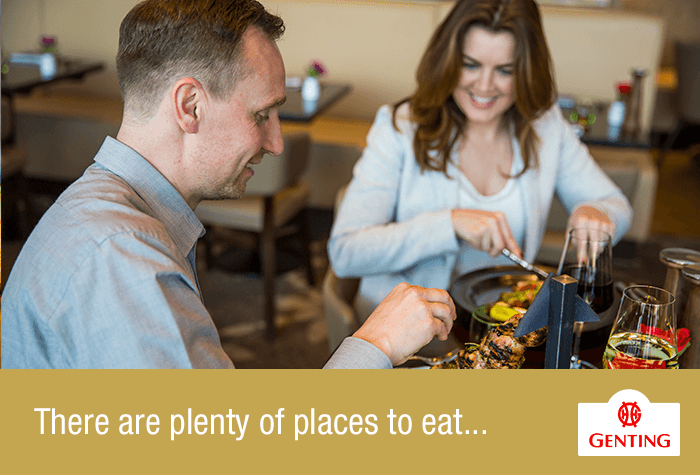 If youd prefer something else, there are plenty of other bars and restaurants to choose from within the Resort World centre. 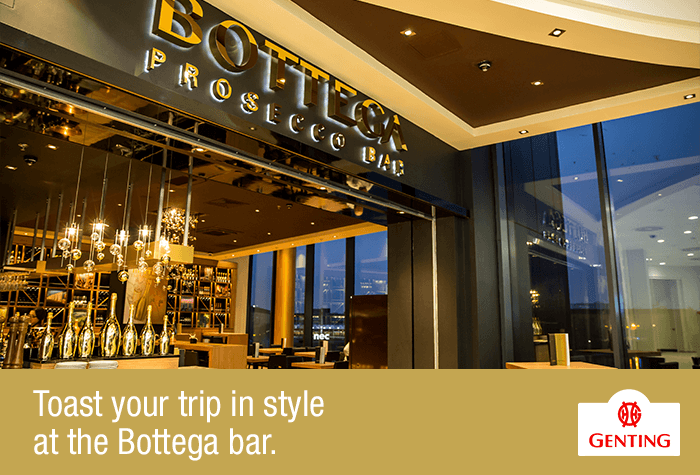 There are 4 bars to choose from within the hotel. 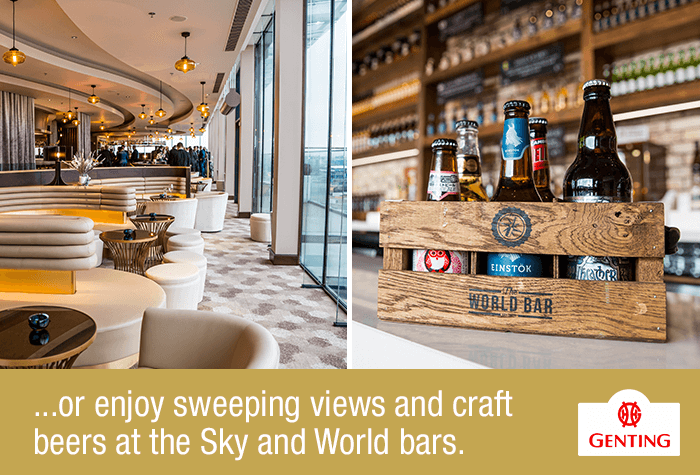 The World Bar offers 40 craft beers to choose from, fine wines and international inspired street food. Theres also live music from a pianist every Tuesday and Thursday, and live artists and bands at weekends. High Line New York Bar and Lounge is inspired by the diverse food and drink culture of New York. 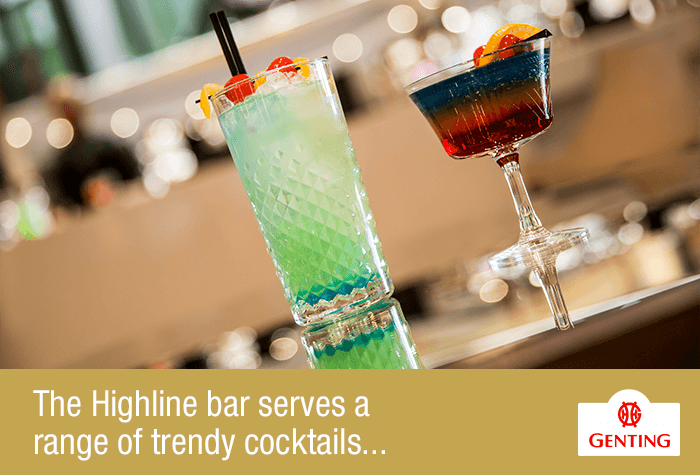 They offer a range of contemporary cocktails, American craft beers and vintage champagnes. Open from 12pm - 12 midnight Sunday to Thursday, until 2am Friday, and 3am Saturday. The Sky Bar serves a specially prepared Japanese tasting menu, which can be paired with a range of cocktails, wines and specialty drinks. Please note, the Sky Bar has a smart casual dress code and highly recommends booking tables in advance to avoid disappointment. Open from 12pm - 11pm daily. The Sports Bar offers classic beers, wines, spirits and bar food. 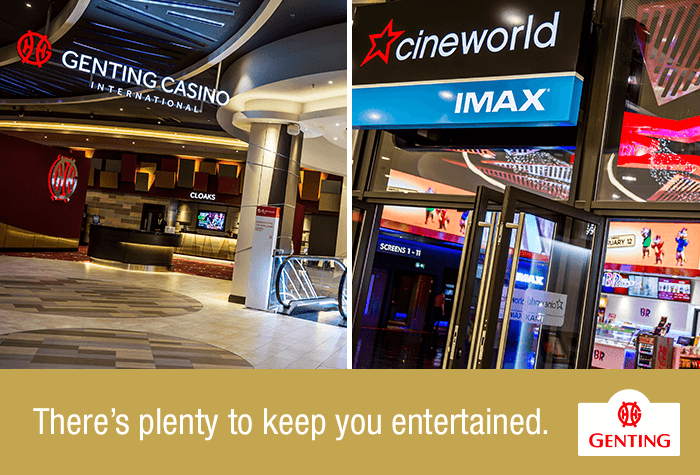 There are live sports to be enjoyed on the screens and even luxury private viewing booths. 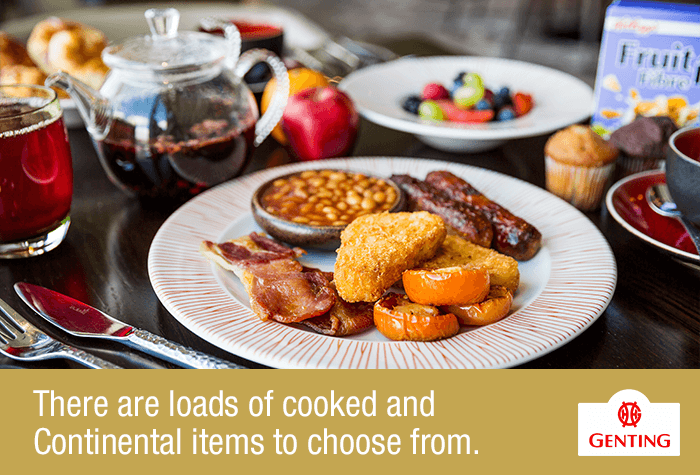 Breakfast is an English and continental buffet, served in The Robata Bar and Grill and costs £18pp. 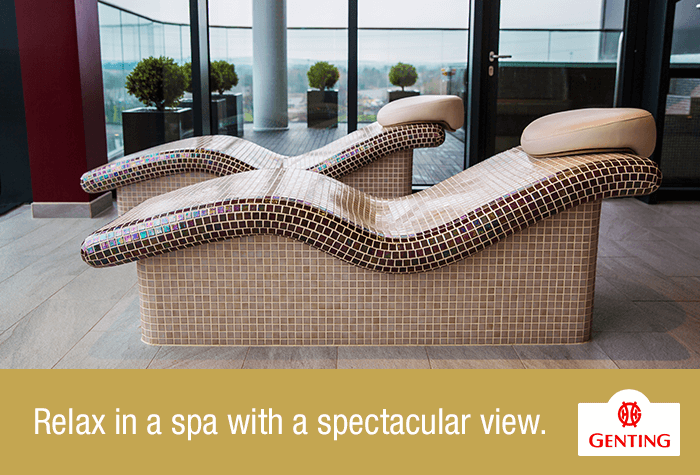 Theres a gym nearby and the Santai Spa, which are both available to guests at extra cost, subject to availability. Disabled facilities The hotel has accessible parking, level access and adapted rooms with emergency pull cords and grab rails. 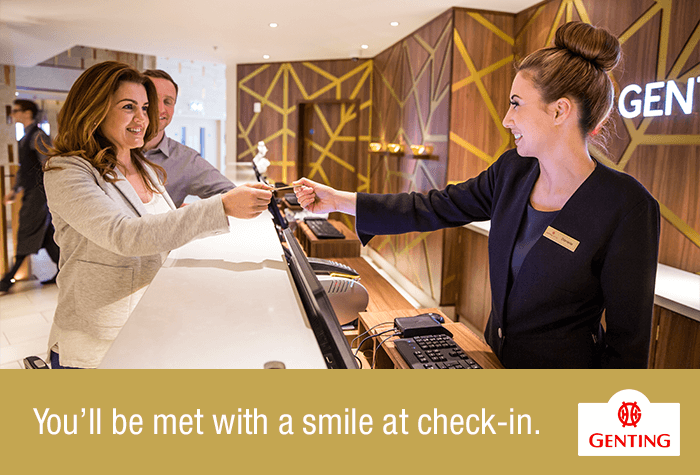 Make your way to the hotel, overnight parking is £15. Your confirmation email will have directions and a postcode for satnavs. Call Maple Parking around 15 - 20 minutes before you get to the airport to confirm your arrival time. Drive to the airport to meet them outside the terminal. Theyll take your keys and park your car for you in their secured car park whilst you walk to check-in. When youre back, call Maple Parking once youve collected your luggage and theyll meet you outside the terminal with your car. Everything went well and the hotel is well positioned for staying the night before travel. Hotel was as described and staff on reception very friendly and helpful, very well appointed room. Mostly the booking went smoothly however when we came to staying at the hotel we were told that parking at not been arranged at the hotel. I was told this had been done when the booking was placed so after a long day or travelling it was not something we were happy to hear. Luckily the hotel wavered the £15 charge but this should not have happened. 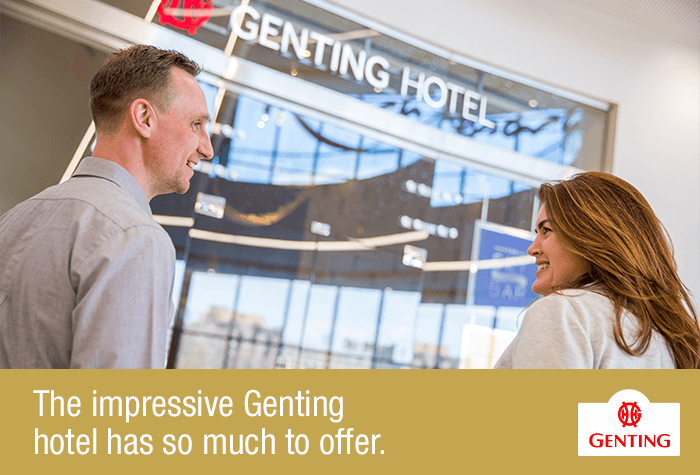 Our customers rated Genting on average 9/10 (6 reviews). Read Genting reviews.